Anna Ewers turns up the glam factor for the November 2017 issue of Vogue Paris. Photographed by Inez & Vinoodh, the German model poses in Venice, Italy, for the fashion editorial. 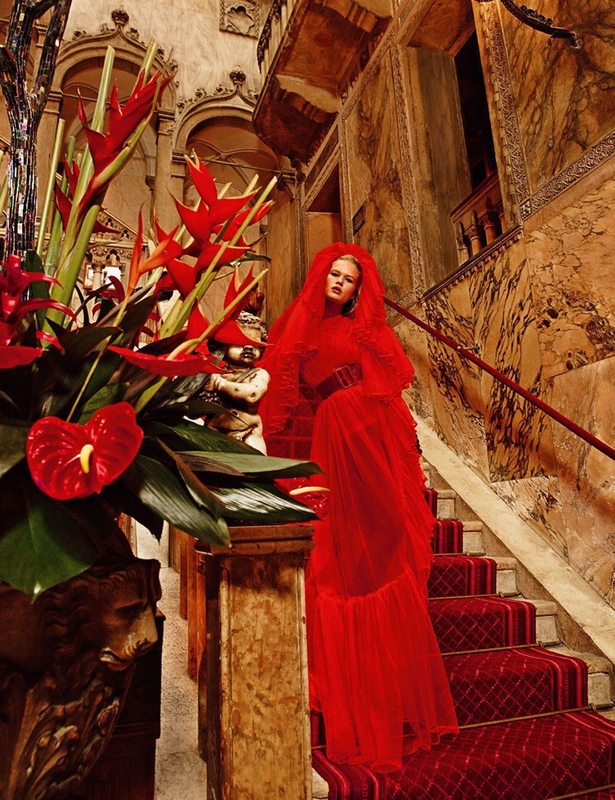 Anna wows in haute couture gowns for the colorful images. From brocade dresses to dramatic capes and tulle layers, the blonde wears looks styled by editor-in-chief Emmanuelle Alt. Anna dazzles in the designs of Armani Prive, Atelier Versace, Dior Haute Couture and more.